USB keyboard emulator NFC Loginer can read the NFC Tags' UID; compatible Win, Mac, Linux, Android, iPad. NFC pendants, keyrings, hang tags, keyfobs, with Ntag213 Chip embedded, printed with NFC Logo. Laudry NFC Tags, specially made to resist to Washing at high temperatures. Suitable for clothing, thanks also to 2 little holes. 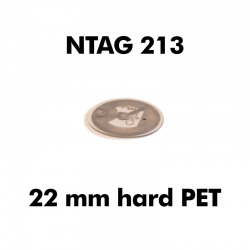 Ntag213 has Digital Signature of manufacturer. NFC Stickers with NXP NTAG215 Chip, with Universal Compatibility, 504 bytes available, password-protection, UID-mirroring supported. Waterproof. USB device to read, write or format NFC Tags with every kind of Chip; equipped with USB cable, compatible with Win, Mac, Linux. We ship all over the World for free with DHL Express Delivery. Please contact us: we will answer your questions as soon as possible. We accept payments via Bank transfer, Paypal or credit card. Site is secured by SSL encryption and HTTPS. 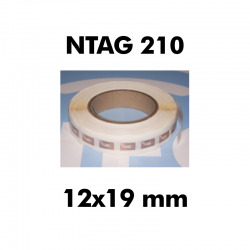 Buy online large amounts of NFC Tags at Best Prices. Shipping is rapidly performed by DHL and it's free to all Countries, all over the World. If you don't find a product you're looking for, or for any questions, don't hesitate to contact us. 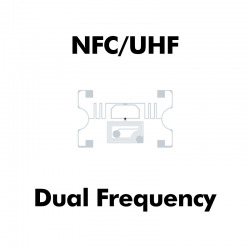 All our NFC Tags are compatible with every NFC device and are in compliance with NFC Forum.